INDIANAPOLIS, Jan. 30, 2011 – Indiana Pacers President of Basketball Operations Larry Bird announced Sunday that head coach Jim O’Brien has been relieved of his duties as head coach and assistant coach Frank Vogel has been named interim coach. “We’ve been looking at everything with our team, from the beginning of the season and now at the halfway mark and I think at this time a change is necessary,” said Bird. “This isn’t all on Jim. All of us share in the responsibility for where we’re at and where we need to go. 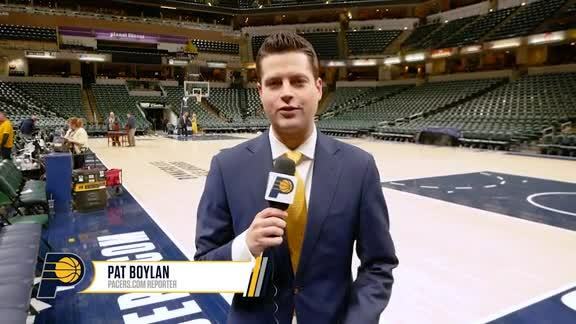 O’Brien compiled a 121-169 record with the Pacers, including a 17-27 mark this season. The 37-year-old Vogel is in his 14th NBA season, eight of those as an assistant coach. Vogel got his start in the NBA in 1997 as the head video coordinator under Rick Pitino at Boston. He became an assistant coach under O’Brien in Boston, served with him in Philadelphia and then with the Pacers. “Frank Vogel is a good, sound, basketball man who with the other assistant coaches, all of whom are staying, will work toward our goal of making the Eastern Conference Playoffs this year,” said Bird.